Spellforce 2: Shadow Wars is a combination Real-time strategy and role-playing video game created by German game developers Phenomic and published by JoWood Entertainment. Through the awakening of the Phoenix and the destruction of the Circle, the Rune Wars ended in the year 15 after the Convocation. The cheers could not be overheard as the yoke of the Circle, which had continuously brought disaster to the world of Eo for almost 500 years, was finally cast off. And for a short period of time, all people were unified, but because the enemy they once fought together was now eliminated, it did not take long before the feudes between the different fractions rose again. While the Light People strengthened their boundaries and proclaimed new laws, a civil war seethed in the reigns of the Dark. The sorcerer Nazshar brought the Norcaine and the alien Shadows together, enabling them to learn how to use their unusual powers. His son, Toth Lar, supported by the sorcery schools and his mother Sorvina, became chief Archon and publicly made a pact with the Shadows. But many Norcaine detested a union with the Externals and under the leadership of the last Dracon Craig Un’Shallach, a rebellion rose against Toth Lar. But Craig’s warriors were hardly able to set anything against the power of the Shadows. Perhaps Craig should have called one of the rune warriors to his aid, but their history was to take a different turn. With the disappearance of the Circle its magic also started to fade. The power of the runes ebbed and the rune warriors were freed from the bonds of immortality, but also lost their power. The former guardian of the Phoenix returned to Empyria and started to re-establish the Order of Dawn. It is not known what happened to the bearer of the Shadow Blade, but one believes that he could not escape his fate and finally became a Shadow. The Bringer, haunted by dreams of shadows and blood, joined a group of free traders that accepted him despite his ambivalent past. All these different fates were now linked by the common will to live a life in peace. But now, 19 years after the convocation, the conflict among the shadows is approaching its climax. 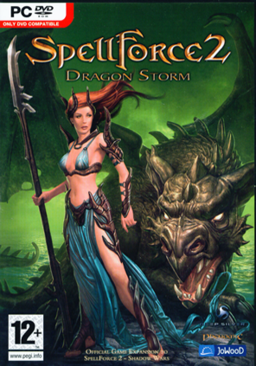 If you need more information please contact the developers of SpellForce 2 (JoWooD Entertainment AG), or check out their product website.